The back has 24 moveable vertebrae – seven cervical, 12 thoracic and five lumbar – surrounded by spinal nerves that control movement and sensation in the extremities. These vertebrae have discs between them that are composed of cartilage and contain fluid, both of which allow the back to bend, twist and remain flexible. When the back is injured or when these discs become herniated, ruptured or bulged, the fluid can escape, causing the discs to become brittle and lose their elasticity. If the spinal nerves are affected by a back injury, the pain, and loss of movement and sensation that my result can be devastating. Back injuries are often a catastrophic consequence of another person’s carelessness or negligence, sometimes occurring as a result of a car accident, commercial trucking accident, or slip and fall accident. If you have suffered a back injury caused by an accident in Georgia, contact our Atlanta back injury attorneys at Rechtman & Spevak today for legal help. 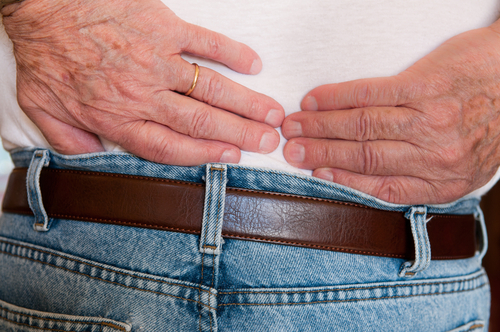 As a result of these back injuries, victims may suffer from minor symptoms like back pain, swelling, and chronic neck pain, or more severe back injury symptoms like weakness in the lower extremities, muscle spasms, urinary incontinence, fainting and inability to walk. If the spine becomes fractured or dislocated, it can cause a spinal cord injury that may even lead to permanent paralysis. Our backs are one of the most vulnerable parts of our bodies, susceptible to serious injuries occurring when the back moves past its normal range of motion. Whether a back injury is caused by a car accident, slip and fall accident, or workplace accident, the consequences of a serious back injury can significantly alter the rest of a victim’s life. In addition to causing physical pain, back injuries may require costly medical treatment, surgery, and long-term rehabilitation, and may prevent the victim from returning to work or performing even the simplest tasks such as walking up the stairs. Unfortunately, even with treatment, some back injuries cannot be fully repaired, sometimes leaving the back injury victim with a permanent and life-altering physical disability. One of the most important things to do after sustaining a back injury in a Georgia accident is to seek medical treatment to determine the extent of the injury. Your next step should be to contact an experienced Georgia back injury attorney who can help you recover damages associated with your injury, including the cost of current and future medical bills, lost wages, and the impact of emotional pain and suffering. Many people who suffer back injuries are unable to return to work temporarily or permanently, preventing them from receiving the income necessary to support themselves and their family. With the help of a qualified Marietta back injury lawyer, victims of GA back injuries can take the steps necessary to pursue the compensation they deserve. Back injuries can affect every aspect of your life, including your ability to spend quality time with family, your ability to conduct your daily routine, and your ability to gain an income. In fact, low back pain is the second most common cause of missed days of work in the United States. If you or a loved one has suffered from a back injury in Georgia, contact our experienced Atlanta back injury attorneys at Rechtman & Spevak for legal help. You may be entitled to critical financial compensation for your back injury, which you can collect by filing a personal injury lawsuit against the person found to be at-fault in the accident. As more and more Georgia residents are adversely affected by severe back injuries, our Marietta back injury lawyers are working as hard as they can to help victims seek fair and timely reimbursement for their injuries, while protecting their legal rights in the process.